I wanted to share a bespoke wall hanging I did a while ago that I forgot to share. A private client asked me to create a wall hanging for the stairs area in her home that would brighten it up. She’d seen my work at Wasps Open Studios in Dundee and liked my style. We discussed what she liked about it for me to create a clear brief for the project. 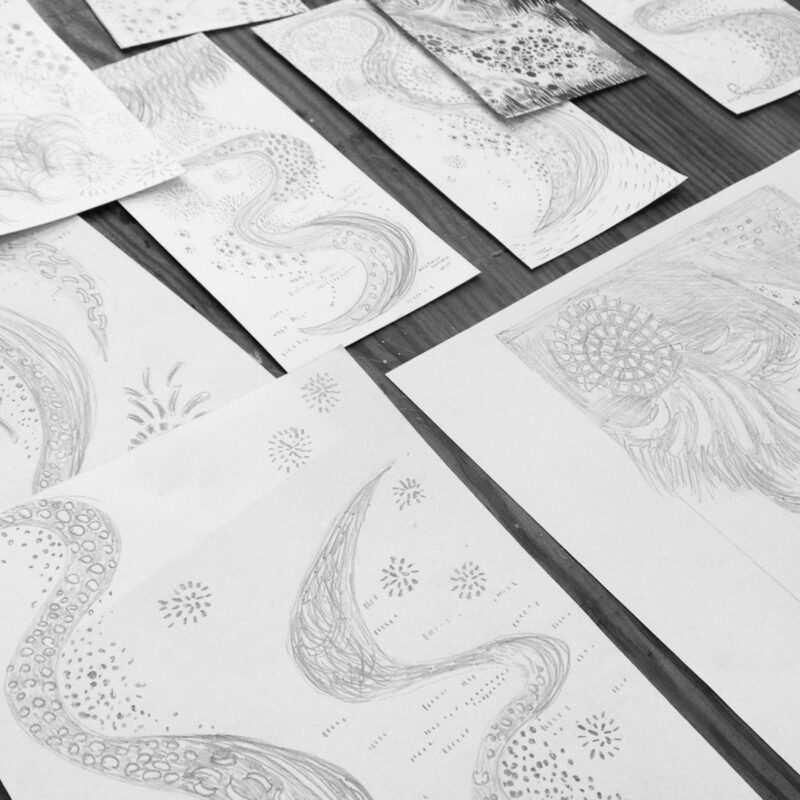 In particular she liked circular shapes, movement, curves, mark making and feathery grasses with a natural flow of patterns merging into each other (nothing sharp, or dense). We then talked about colours, type of fabric and finishings. I visited her home so I could get a feel for the space and to measured up. I did some sketches that include different composition, colours and imagery (probably more than I needed to as I really got involved in this project – wee problem when you enjoy what you do!) We discussed what she liked and didn’t like. I took on all her feedback and combined elements to create the final design. The design was created in ink using a brush and I also created colour combinations using acrylic paint. We agreed the final design and I did some final tweeks in photoshop for it to be ready for digital printing. 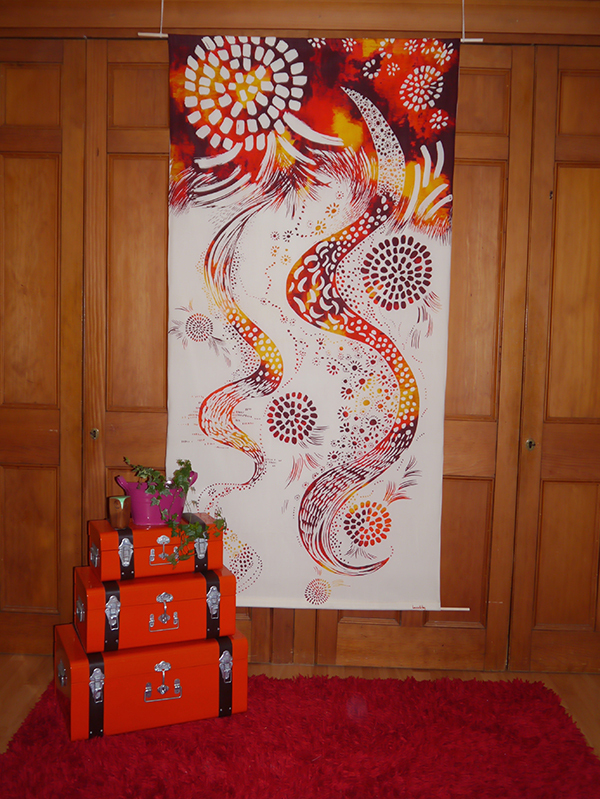 This entry was posted in Work and tagged commission, design, designer, Dundee, hand drawn, patterned artwork by Louise. Bookmark the permalink.